Switch things up tonight and replace that boring taco meat with something a little more colorful — and tasty. 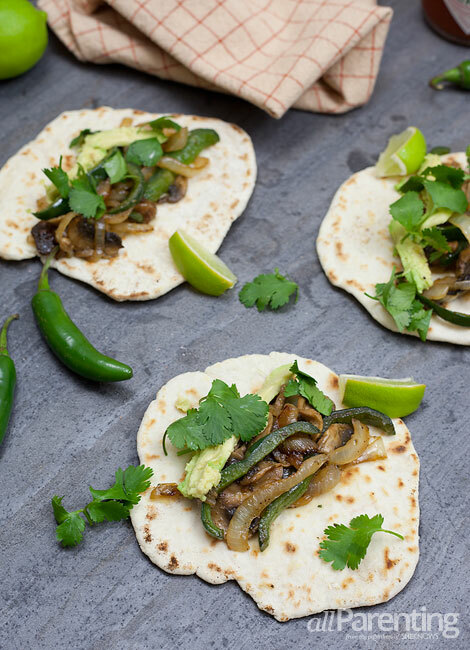 These vegetarian street tacos made with sautéed veggies stuffed inside homemade flour tortillas are guaranteed to bring life back into taco night at home. Serve with a round of margaritas and life is good. Take your taco night to the next level by making these vegetarian street tacos with homemade flour tortillas. The dough for the tortillas needs to sit for 30 minutes so we suggest getting that started before making the veggie taco mix. Once everything is done, put it all together with your favorite taco garnishes and enjoy. Mix flour, salt and baking powder in a medium bowl. Add shortening to the bowl and combine with a fork (or your fingers) until the mixture resembles coarse crumbs. Stir in water until the dough forms. Transfer the dough to a well-floured surface and knead several times until a smooth dough forms. Leave the dough on the surface, cover with a towel and let sit for 30 minutes. Divide the dough into 12 equal portions and roll each portion out into a 6-inch circle. Cook the tortillas 1 at a time in a dry skillet over medium-high heat for about 2 minutes on each side, or until the tortillas are light brown and start to puff. Drizzle olive oil into a skillet over medium heat. Add sliced onions and poblano peppers and sauté until they start to soften and onions are almost translucent. Stir as needed to prevent burning. Add mushrooms and continue to sauté until everything is soft. Add more olive oil if needed and continue to stir as needed to prevent burning. 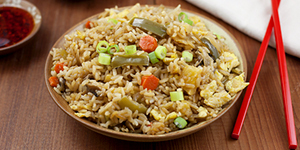 Once veggies are cooked, remove from heat, add spices and stir, adjusting as needed to taste. To serve, spoon the vegetable mixture into the homemade flour tortillas and garnish with your favorite taco toppings. ^ Looking for a margarita recipe to serve with your vegetarian tacos? Try a Pink Cadillac margarita, passion fruit margarita or a pitcher of slushy margaritas.